We check over 450 stores daily and we last saw this product for $32 at Bebe. 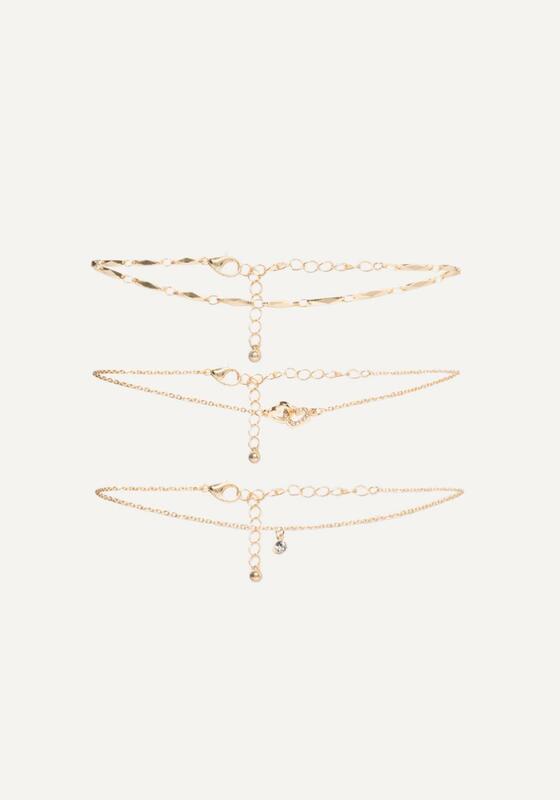 Even your ankles deserve some bling. 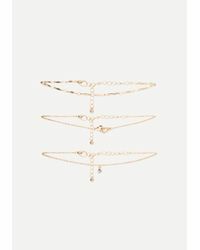 These chain anklets come in a set of three, with tiny charms including interlocked hearts and a collet-set crystal drop. Cute with all your cutoff shorts and flowy skirts. 98% Metal, 2% glass. Length: 9" (23 cm) with a 3" (7.5 cm) extender. Lobster clasp closure.